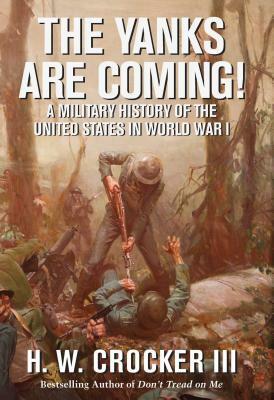 How George S. Patton, Douglas MacArthur, George C. Marshall (of the Marshall Plan), "Wild Bill" Donovan (future founder of the OSS, the World War II precursor to the CIA), Harry S. Truman, and many other American heroes earned their military spurs in "The Great War"
H. W. Crocker III is the bestselling author of many books on military history, including Don't Tread on Me, Robert E. Lee on Leadership, The Politically Incorrect Guide to the Civil War, The Politically Incorrect Guide to the British Empire, and the prize-winning comic novel The Old Limey. His journalism has appeared in National Review, the American Spectator, the Washington Times, and many other outlets. Born and raised in San Diego, CA, Crocker currently lives on the site of a former Confederate encampment in Virginia.